*Authorized Armstrong Flooring Dealer* Dillabaugh's Flooring America has been serving the Treasure Valley (Boise, Meridian, Nampa, Idaho) as well as Payette, Idaho since 1982. We offer quality flooring from carpet, hardwood, vinyl, tile and laminates. Our cabinetry division offers the largest assortment of cabinets and we also install beautiful granite and laminate counter tops. You can also find the latest window covering styles with us! Dillabaugh’s Flooring America’s Certified Sales Professionals are here to help you every step of the way of your flooring, granite countertop, or cabinetry purchase. For a FREE, no hassle in-home consultation or if you have any questions needed answered from a Certified Sales Professional, please click here. We are a local flooring store in Meridian, Idaho. We sell all types of carpet, tile, hardwood, granite, vinyl and laminates. Download our Free Consumer's Guide To Flooring at <a rel="nofollow" target="_blank" href="https://consumersguidetoflooring.com">https://consumersguidetoflooring.com</a> Schedule one of our trademarked Design Audit's at - <a rel="nofollow" target="_blank" href="https://capellflooring.com/design-audit">https://capellflooring.com/design-audit</a> Company Overview - Capell Flooring and Interiors - Meridian, Idaho 8 Out Of The 63 Reasons You’ll Love Our Service… 1. Zero-Regrets Guarantee! You'll love your new floors or we'll replace them free in the first 30 days! 2. You get a FREE Lifetime installation warranty on any flooring purchase. 3. Installer Professionalism Guarantee! Our installers are neat, clean, well-groomed, well-spoken and professional. They are trained and experienced. They are guests in your home, and they conduct themselves as such. They respect you and your home. You’ll receive the highest-quality installation in the business. And after they’re finished, they will leave your home as neat and clean as when they arrived! 4. FreeDesign Audit™—This is a diagnostic tool that allows my expert floor consultants help you choose the right floor for your decorating taste and lifestyle. They’ll walk you through a series of questions that will help narrow down the thousands of options to the two or three that exactly match your unique situation. 5. You’ll also get a written, customized “maintenance” plan with our professional recommendations for getting the longest life and beauty out of your floor. 6. Honest Pricing—When we visit your home, we’ll give you an exact GUARANTEED written quotation on the spot. No hidden costs. No teeny-tiny print. 7. You’re kept updated throughout the process—From the time you select the product until after it’s installed, you will be contacted no fewer than six times by mail and email. You’ll never have to wonder what’s happening with your flooring. 8. You can read our testimonials—click on this link to see what your friends and neighbors are saying about our service! 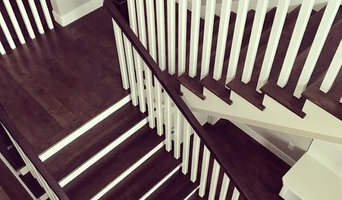 <a rel="nofollow" target="_blank" href="https://capellflooring.com/happycustomers">https://capellflooring.com/happycustomers</a> Our flooring consultants work hard to provide professional caring service and a personal touch to your projects. We work for you and have been fortunate enough to serve Boise, Meridian, Nampa, Caldwell, Eagle, Middleton, Star, Kuna and the surrounding areas as your local flooring store in Idaho since 1974. *Authorized Bona Certified Craftsman* Proud to be a BONA Certified Craftsmen and Hardwood Floor Professionals in SW Idaho. Providing restoration, refinishing, cleaning and installation of hardwood floors. We also provide installation of site finished hardwood and prefinished hardwood floors. Bona Certified Craftsmen are hand-picked, proven, top level professionals, trained and certified by Bona to use the complete Bona System on your hardwood floors. These individuals are devoted to Bona product systems; they voluntarily undergo continued Bona training to keep up-to-date on the industry’s “best practices” and are rigorously tested by Bona to ensure the most beautiful and durable results possible for your hardwood floors. Trust a Bona Certified Craftsman with the largest investment in your home. SW Idaho's Leading Hardwood Floor Professionals | 3x Best of Houzz! At DeGrange Hardwood Floors we are locally owned and family operated and know that your home's floors are one of your most widely utilized longterm investments. Which is why we take great pride in our commitment to provide our customers with personalized, professional service with satisfaction guaranteed. Give your home the modern, timeless or unique look that you have always dreamed of and let our family take care of yours. Augusto Fine Rugs is a full service area rug design studio and showroom located inside the Idaho Design Center in Boise, Idaho. We specialize in luxury carpets, rugs and custom specifications. Although we are deliberately structured to be a resource for the design professional, we welcome retail and are happy to assist with a wide assortment of area rug projects. We are a locally owned Zerorez Franchise, and we love to serve! Our products are green and non-toxic, leave no residue, and don't leave nasty odors when we are done. Carpets dry fast, and will stay cleaner longer than traditional methods. We are on a mission to help the Treasure Valley and surrounding areas change the way they clean- without the use of harsh, toxic chemicals. If you're looking for a safer way to clean, let us show you what we can do to help you! A family owned business, NRG Flooring operates with the same traditional values that govern successful home lives; honesty, integrity, communication and hard work. NRG Flooring provides high quality goods and expert installation. Our skilled team consists of craftsmen who have a combined 15 years experience in flooring and general construction. As a dedicated provider for our communities we strive to provide customers with friendly, knowledgeable, and reliable service by our expert staff. We are a flooring and design center targeting homeowners and builders to help them with all flooring products and design help. We sell all types of flooring including wood, tile, carpet, laminate, granite, vinyl, and rock. Whether your home's decor craves a healthy dose of inspiration - or you've set your sights on that dream home - Nampa Floors & Interiors is a must-see and must-feel place to imagine the possibilities. Don't be afraid to walk in, take your shoes off and let your feet sink into six different textures as you browse the carpet area. The deep chocolate, plush carpet just oozes between your toes. Another abundantly padded selection transports you to a walk on the clouds. Even if you don't have plans to remodel or build, take a stroll through the showcase center. The carpet is artfully cut in curves to guide your feet and eyes through the showroom, where you'll find wood and laminate floors to sample. 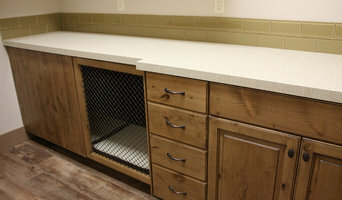 At least one dozen tile, granite and quartz displays on the floor, walls and study centers will tempt you to consider an update - even if you don't think you need one. We bring more than 25 years of experience to every project. You can expect our family-owned company to give you the personal attention you deserve. I’m excited to be a part of the growing community and truly enjoy getting to know my customers and meeting their flooring needs. I understand that you’ll be living on your floors for years to come and want to make sure your experience is enjoyable from the initial estimate to the final product. Get in touch with today to discover the difference that custom hardwood flooring can make at your home. At Matthews Hardwood Floors, we believe in making memories and connections that last. We pride ourselves on reliability, great communication, integrity, and quality work. We are experts in our trade and will do our best to keep you as educated as we can on your particular task or project. We look forward to earning your business! We are a Carpet cleaning company that covers Boise, Idaho Meridian, Nampa, Caldwell and Eagle.Our Company offers quality carpet cleaning services at an unbeatable price. Call us today! Where can I find the best Boise, ID carpet fitters? A carpet professional will often both supply and fit carpets. A full service carpet professional can offer everything from a catalogue of carpet colours and pile options to carpet accessories like underlay, gripper rods and door plates. Carpet fitters will need to measure your home and they will provide you with an estimate for materials and fitting service. Similarly, if you need someone to help with carpet repair there is a dedicated carpet professional in Boise, ID just a few clicks away. Check the reviews of carpet fitters in Boise, ID and look out for those who are members of trade organisations such as the NICF (National Institute of Carpet & Floorlayers) or the National Carpet Cleaners Association (NCCA). 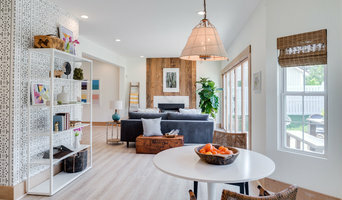 On Houzz you can search for flooring specialists and carpet fitters in Boise, ID and start to shortlist companies by adding your favourite images to an ideabook. Think about the style of flooring or design of carpet that might best suit your room and then approach the most relevant experts who can then fit your carpets, lay tiles, install hardwood floors or show you how to fit laminate flooring. Your carpeting and flooring professional might work closely with Boise, ID contractors, interior designers and others in the home building and home improvement industry. Here are some related professionals and vendors to complement the work of hardwood flooring suppliers & installers: . What do I need to ask flooring manufacturers, installers and carpet fitters in Boise, ID before I hire them? How long have so been in the flooring business or working as carpet fitters in Boise, ID? Find carpet fitters and flooring experts on Houzz. 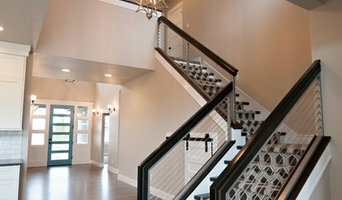 Narrow your search in the Professionals section of the website to Boise, ID carpet fitter and flooring professionals. You can also look through Boise, ID photos by style to find a floor design you like, then contact the floor companies or carpet fitters in Boise, ID that worked on it.